RESILIENT JAPAN Ep. 10 NAMCO BANDAI Holdings, Inc. | jibtv.com | Japan International Broadcasting Inc. The NAMCO BANDAI Holdings was formed after the two companies merged in 2005. 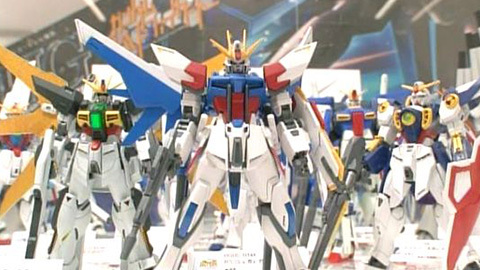 Bandai offered toys while Namco specialized in games. The company expands business by applying characters from animation, games and comics to various products and services. Its consolidated net sales totaled almost 5 billion dollars in 2012. Some characters are also popular overseas. An arcade game character “Pac-Man” was re-launched as a TV anime this year, with plans to develop more than 500 related products. The 10th edition of RESILIENT JAPAN features interview with the company’s CEO Shukuo Ishikawa, exploring stories on development of successful products, multi-angular expansion strategy centered around characters and its plans on further progress overseas.